I’m writing this in a post Hatch Burger euphoric state of mind, so forgive any rambling thoughts or typos: I’m in heaven. My trip to famed Umami Burger would not have even been a thought in my head, had it not been for their social media efforts, specifically on Twitter. It all started when I posted a pin from my Pinterest file “Say What?” about a Knork – Spork’s knife/fork cousin. Umami picked up on my tweet and responded (assuming they were monitoring the keyword “Knork”), proudly announcing they now had this freak of utensil at their restaurants. Their tweet triggered something in me. For those of you who are fortunate to have enjoyed one of LA’s top burger spots: You know what I’m talking about. I got to thinking about Umami, more specifically, my favorite menu item: the Hatch Burger, which is topped with roasted green chilies and house-made American cheese on the best brioche bun around … I digress. A couple of tweets later, they had me converted into a paying customer, as I was calling to place a takeout order. My world soon came to a screeching halt, when, after several rings, I got the machine. Umami happened to tweet me as this was happening, I responded that I was disappointed they were closed on a Monday. They immediately switched from Marketer to Customer Service rep, tweeting me their La Brea location’s hours, verifying that I used the correct number (I had). I called back – something I wouldn’t have done, had they not been in communication with me via Twitter at that very moment. This time: success. Ten minutes later I was at Umami, checking in on Foursquare; my food, fresh and hot from the kitchen, waiting for me at the counter. Another 10 minutes later, I was home, posting a pic of my burger to Instagram. Another 20 minutes later, I’m writing this blog post. Granted not everyone Umami tweets will be like me: an existing, enthusiastic (and hungry) fan, who is extremely tech savvy, influential online and boasts almost 13,000 Twitter followers. But they managed to catch me during a perfect storm, and from their social media marketing and customer service efforts, converted me into a paying guest. In turn, I shared my experience across several social networks including Facebook, Twitter, Foursquare and WordPress – embodying what interactive marketing is all about: reputation management, engagement, advertising and the coveted word-of-mouth marketing. Umami didn’t get me just from this one interaction. They do an excellent job of having a presence across many platforms including Facebook, Twitter, Foursquare, Yelp, Tumblr, Flickr, and beyond – posting updates and quickly responding to customers online. Their consistently engaging posts have planted many seeds over the past few weeks – today’s tweet session was the tipping point. And I’ll be back; not only because I love their food, but they keep reminding me via Facebook and Twitter just how good it really is. By Gretchen Schneider, Principal, Interactive Marketing. Gretchen lives and breathes all things social media. Based in Los Angeles, she oversees the interactive division for treadsocial, working with brands and personalities to strategically market themselves in an integrated, engaging manner online. Our new favorite app: Oink! We love it because a) we LOVE food, and b) it combines all our favorite features from Yelp, AroundMe, Foodspotting, Klout and Instagram to make finding the best burger around a snap. The voting feature is simple, sharing is a breeze. And the more you rank dishes and cuisines, the more “cred” you earn. Of course, our team is already killing it in the coffee arena. 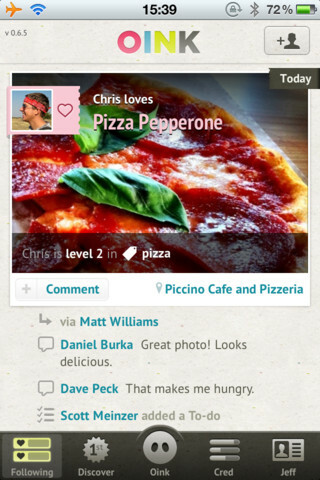 We love that once you get to a new restaurant, you can jump on Oink to see what the most popular items on the menu are. Always useful when dining at the newest hotspot. Has anyone else signed up? Do you love it like we do? 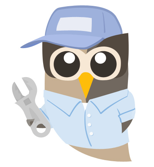 Many of you out there felt the pain of the massive Hootsuite outage, which left its users without service for more than 15 hours last Thursday. We manage a lot of accounts and can only do so by using a service like Hootsuite, which allows you to monitor and publish countless accounts to Facecbook, Twitter, LinkedIn, Foursquare, WordPress and more from their social media management website and mobile app. For people like us: it’s a godsend. So now we have 50 credits (worth $50), which will be applied to our analytic reports. The best thing is that now we finally know how much a credit costs, which has been a question since Hootsuite launched their new, user unfriendly analytics back in March. We love the analytic information, but the reports can be pricy and each form cannot be used again. But clients seem to be dazzled by the colorful graphs offered on the free analytic template, so maybe we’re just being snobby. Wouldn’t be the first time. Facebook Places. How do I put this delicately? You’re kind of creepy, and what’s worse: You make me kind of creepy. And after attending a Social Media Club of Los Angeles meeting where four times the amount of attendees had checked in on Foursquare than Places, I think I’m not alone. I took Facebook Places and Foursqure for a test drive over the past couple weeks. And while I get all the positive aspects Facebook touted in their press conference/Facebook Places launch, I have to say, so far, I’ve only been mildly impressed. Frankly, I find the application to be somewhat invasive. I first used Places to check-in to a bustling Starbucks on Melrose. I saw that one other person had checked in, as well. He appeared to be attractive in his picture, which piqued my interest, so I clicked on his profile. I learned a lot about “Mike:” he’s a photographer, likes dogs, Mad Men. Then I looked around the room and actually saw him, became completely embarrassed, left feeling like an inadvertent stalker – dirty. I don’t use Facebook as a way to meet new people. On a purely personal level, I use Facebook to stay in touch with my friends and family, to look at people’s pictures when I’m bored or procrastinating, and to get a more intimate look into the lives of people I’ve just met – NEVER the other way around. Later that week, I got together with a couple fellow bloggers, Kelly Ryan O’Brien and Champagne and Heels. Since I was in the midst of my Foursquare/Facebook Places “Pepsi Challenge,” I pulled out my phone to check into the café. I checked in to Foursquare, earning myself 7 points (one for a first time check in, the second for this being my second stop of the day). Then I went to check in on Facebook. Since I was meeting with two of my Facebook friends, I asked if I could tag them on my check in. Both declined, saying that they didn’t want people knowing where they were but for separate reasons. “What if I canceled a meeting with someone on I’m friend on Facebook with to be here? Now they know.” Good point. We’re in L.A.; that happens all the time. My other friend said she was just extremely private, but interestingly does have a Foursquare account. However, she is only friends with three people – old friends from NYC – on Foursquare and, as a recent transplant, uses it as a fun way to keep up with her gal pals back east. There is an anonymity that goes along with Foursquare. My Foursquare friends know nothing about me beyond where I am, or have been, and the city in which I reside. I can choose which check-ins I want to share on Facebook and Twitter. Plus, it’s somewhat of a game. There are incentives, which make me want to come back for more. I don’t see too many people checking into places on Facebook thus far, via Places, or Foursquare for that matter. I’m interested to see how this all pans out. On the business side of things, I favor Foursquare. When people check-in, they check into locations I manage, where I can give users deals, tips, etc. Places does not allow people to check into our fan pages, which is irritating, but that is another blog for another time. Stay tuned. As Facebook gears up for its big announcement today, nerds like us wait with baited breath. Most expect Facebook will be making the long-awaited introduction of its geo-location services. But now it seems the day of the much-anticipated announcement is upon us. Geeks, marketers, local business owners – think retailers and restauranteurs – rejoice! What exactly does this mean for us? Thanks to location-based pioneers like Foursquare and Gowalla, we’ve seen the value of these services. By posting specials and promotions that encourage users to “check in” to establishments, business owners and marketers already are leveraging the users of these offerings to serve as mini, grassroots marketers for our businesses and brands. These check-ins get posted onto the users respective geo-location site pages and typically then onto their Facebook and/or Twitter pages, offering invaluable and coveted word-of-mouth advertising. And while Foursquare recently confirmed its number of registered users to be approximately 2.6 million, imagine what will happen when the behemoth Facebook, with more than 500 million users, starts offering a GPS-based service.